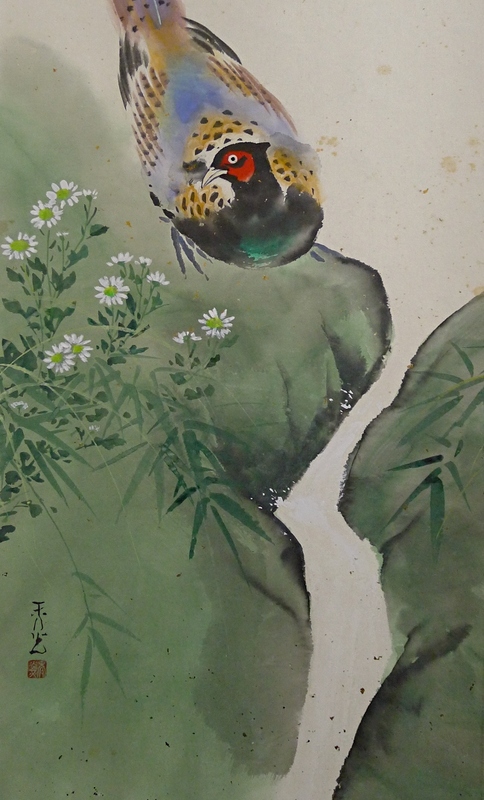 Title" Pheasant in Mountain Stream "
Shukoh was born in Shizuoka Prefecture. He became a pupil of Seiji Nojima Seiji. 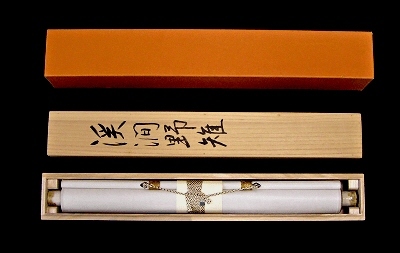 Shukoh was accepted at the Nitten Exhibitions twice. He also won many other prizes until now. 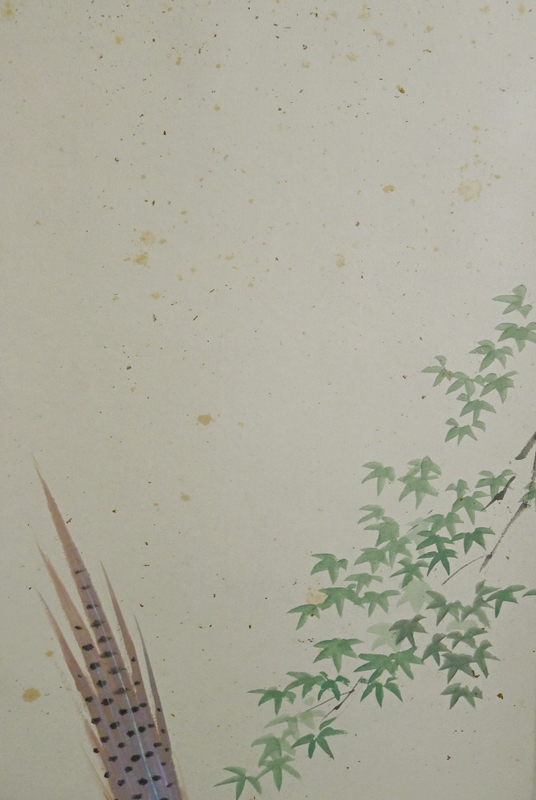 On the painting part, we are able to find small gold leaves sprinkled by the painter to express breeze. 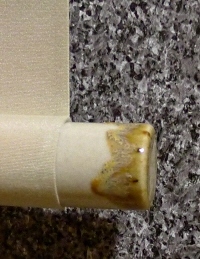 Though, spots are also found from that part unfortunately. 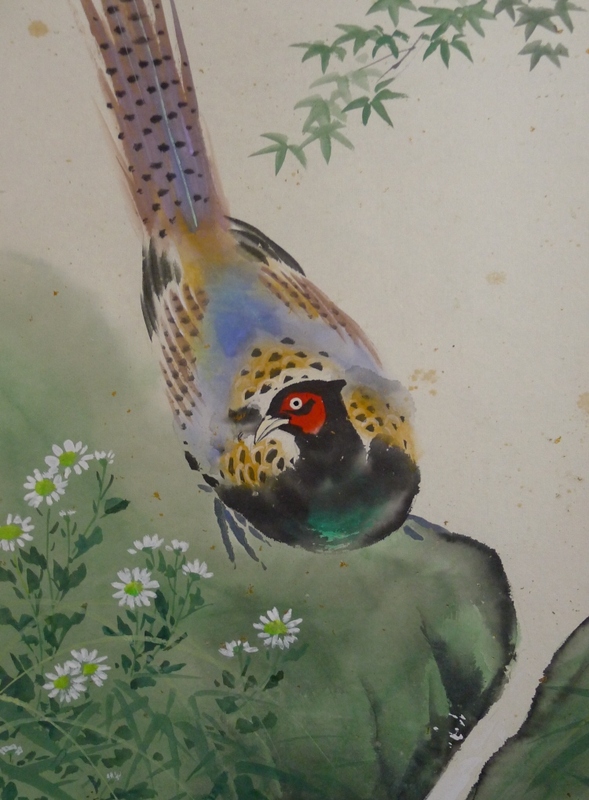 A Kiji Japanese pheasant bird is drawn vividly and tastefully.